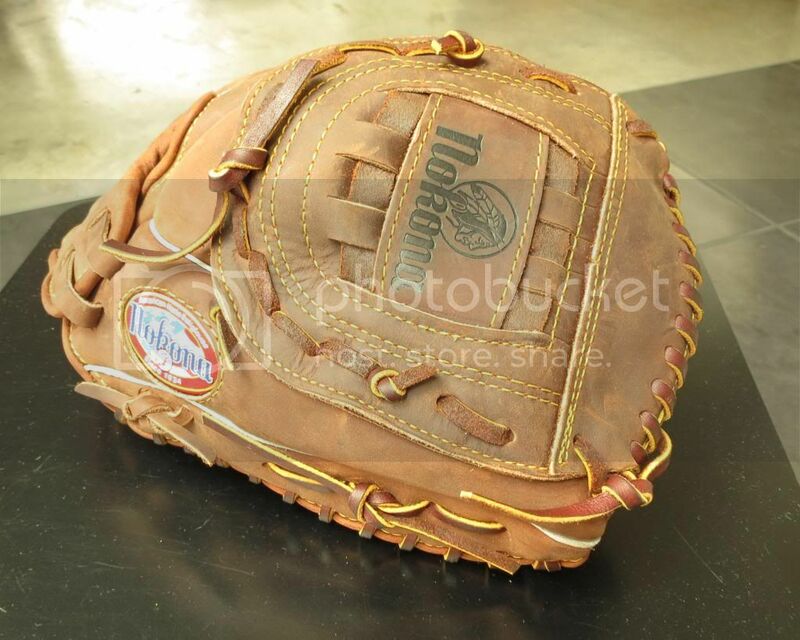 WWW.GLOVE-WORKS.COM BASEBALL GLOVE COLLECTOR FORUM • View topic - AMG1175 Buckskin? 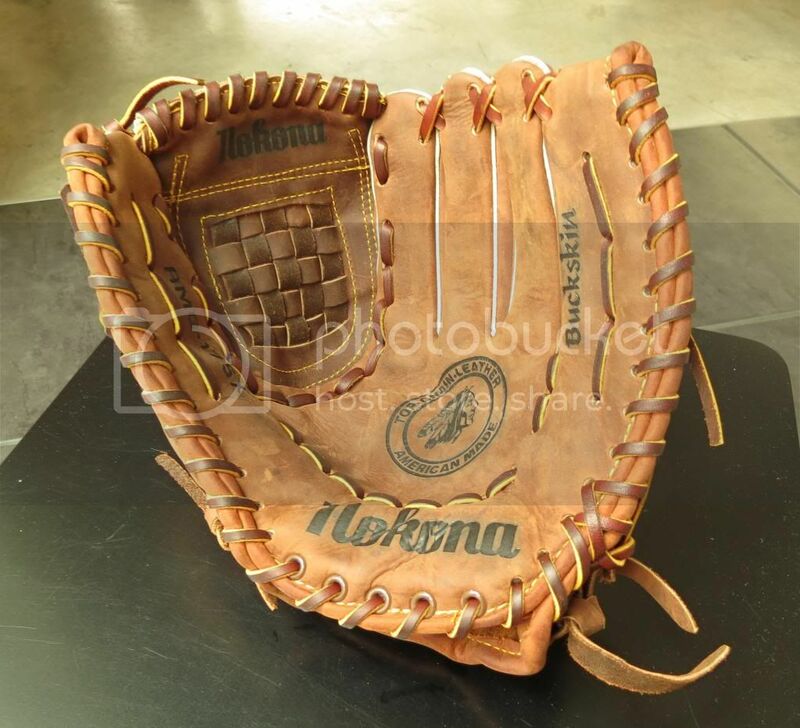 I'm thinking about buying an 1175X (Buckskin) glove. Does anyone have any experience with the newer buckskin leather (not the X2). I would dearly love to find a white-label 1175 but think that's unlikely, unless someone here has one. Please, let me know your thoughts/experience with it! Post subject: Re: AMG1175 Buckskin? The buckskin has changed over the years. The white label buckskin is my favorite (albeit heavy), very stiff with a dry buff feeling finish while the more recent stuff has a shinier feel. Like other oil-tanned leathers, it breaks in easily, but does not last as long. 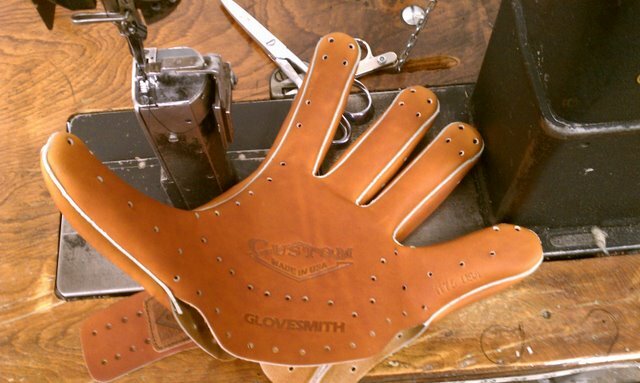 The Glovesmith java is very similar to the new buckskin (not as shiny) and they have a 1175 pattern that I like a lot. Thanks, Rous. I'm thinking about buying one they (Nokona) has on their web site. I've sent them an e-mail, so I hope to hear back soon. You cant have this one. Tease. It's an amazing glove. Stiff as a board and twice as heavy. It is 28 oz. But the most beautiful glove I have. It is a much richer/darker brown than shows in the pics.